An exciting announcement from our new partner in STEM education! – California State University, Chico (CSU, Chico) has joined Project Lead The Way (PLTW) as an affiliate partner to support and expand access to high-quality STEM education in California. CSU, Chico joins approximately 60 other colleges, universities, and research institutions providing teacher training and support to PLTW’s network of more than 6,500 schools in the United States. As a PLTW affiliate, CSU, Chico will focus on supporting Northern California’s rural schools and will provide training to PLTW teachers and host annual conferences for teachers. PLTW and CSU, Chico made the announcement during a STEM event held on the campus of CSU, Chico, which gathered educators and business leaders from the community to celebrate the partnership. “Expanding access to high-quality STEM experiences is critical to the future economic health and vitality of California and our country, and this partnership with CSU, Chico is a testament to the university’s commitment to this vision,” said Project Lead The Way CEO and President, Vince Bertram. As an affiliate partner, CSU, Chico is an integral part of the PLTW experience. The university will host required summer training programs for teachers who instruct PLTW courses, providing a convenient option for teachers in northern California, specifically the rural communities in the far northern part of the state. CSU, Chico will also participate in annual conferences for school administrators and counselors, as well as provide ongoing support to PLTW schools. CSU, Chico is a leader in STEM education in the region by hosting a variety of teacher preparation programs, creating immersion experiences for K-12 students, and offering a number of programs tailored to build enthusiasm for STEM-based disciplines and careers. 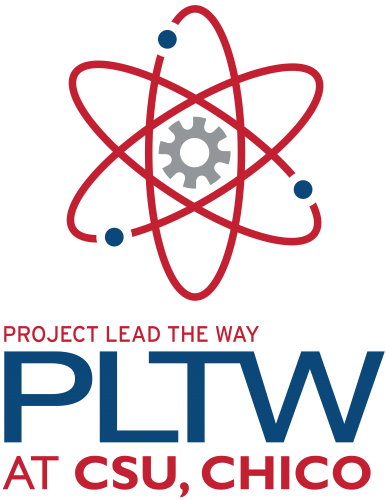 Project Lead The Way (PLTW) is a 501(c)(3) nonprofit organization and the nation’s leading provider of K-12 science, technology, engineering, and math (STEM) programs. PLTW’s world-class, activity-, project-, and problem-based curriculum and high-quality teacher professional development model, combined with an engaged network of educators and corporate partners, help students develop the skills needed to succeed in our global economy. More than 6,500 elementary, middle, and high schools in all 50 states and the District of Columbia currently offer PLTW courses to their students. For more information, visit www.pltw.org. Founded in 1887, California State University, Chico is the second oldest CSU campus and one of the highest ranked master’s level public universities in the West. Popularly known as Chico State, the University has 97 degree programs through its seven colleges and five schools. Many programs, including teacher education and nursing, are known for their innovation and outreach to the University’s 12-county service region and beyond. Chico State was the first university in the world offering a graduate degree via satellite and is a distance education trailblazer. Students have won recent national awards in areas such as computer science, journalism, political science and construction management.